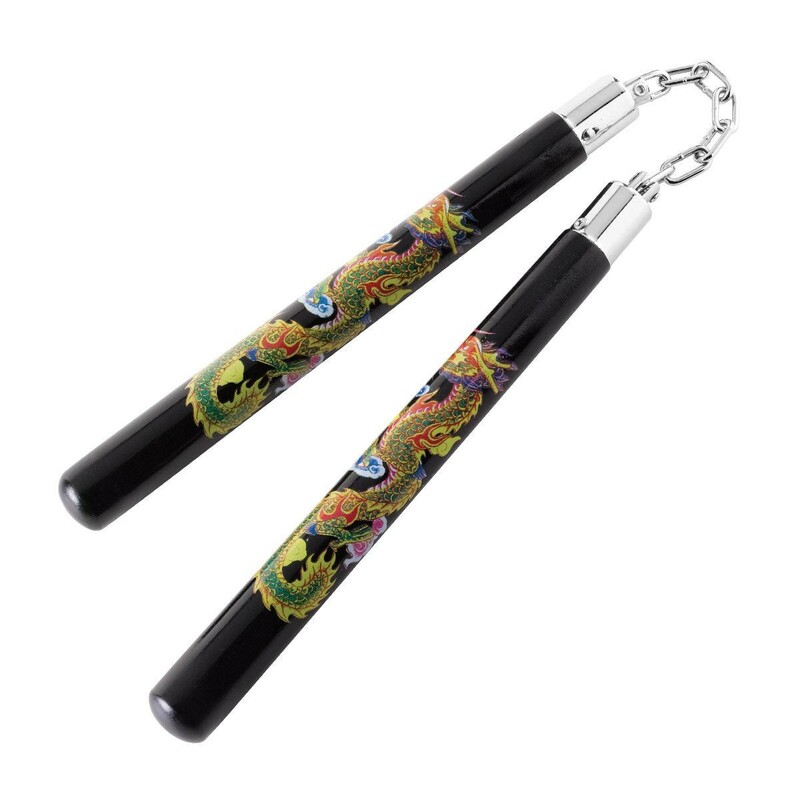 This sleek, ball-bearing nunchaku prominently features a unique multi-colored dragon graphic. © 2016 Martial Gear. All Rights Reserved.